My daughter bought a package of gum for me recently because it had a dragon on it. 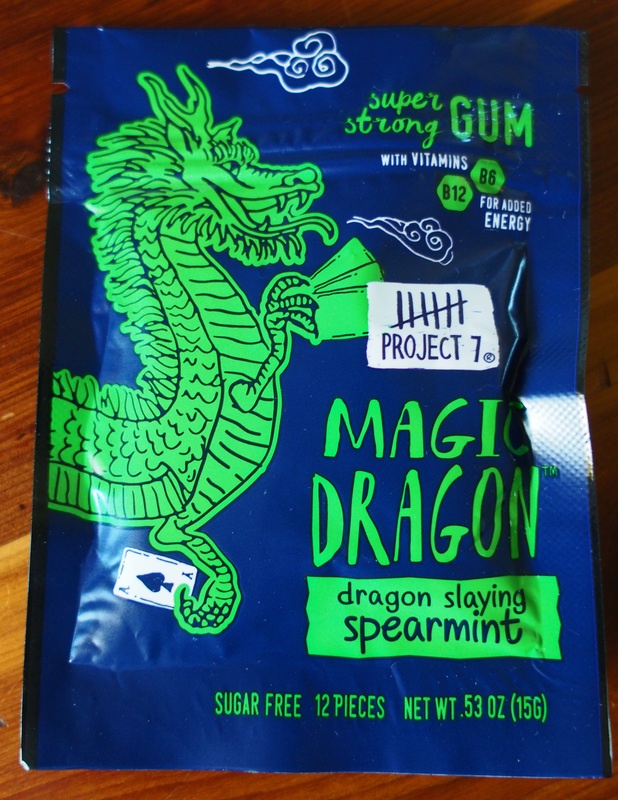 ❤ The gum is named Magic Dragon from a company called Project 7. We wondered what Project 7 was and decided to look it up. Project 7 exists to do good around the globe. With the understanding that people are going to buy things, we decided to make things that they’re already purchasing and use them to solve everyday problems around the globe. Simply, we make products that give back to seven areas of need for good around the globe. Join us in spreading good! The 7 causes chosen by Project 7 are the areas we see the most need in this world. These include: Feeding the Hungry, Healing the Sick, supporting those who Hope for Peace, Housing the Homeless, Quenching Those who Thirst, Teaching them Well, and Saving the Earth. To find out more visit their Mission section.